Legends breeds some of the healthiest, best-temperamented malamutes around. They are truly concerned about placing their dogs in the right homes. I can't say enough good things about them! Very good to work with! You can tell from the beginning starting with the application and all through the process from sharing photos and keeping you updated on your puppy that they truly care and love every one of their dogs even the ones they are selling! Our Nukka is the sweetest,loving girl, she was so easy to train best puppy ever! We are so glad we picked Legends when we decided to get another puppy! Thank you again for our sweet girl Nukka! The overall experience was great! Marcy and Ron only sell their puppies to people after a thorough interview to ensure people understand what it means to own and raise a malamute. They are not in it just to make money, their first priority is making sure it is a good match for the puppy and the new owners. Atlas was shipped to us in WI. Everything was planned perfectly. He came to us with updated shots, he was already crated trained and slept through the night. Marcy checked in with us several times after Atlas came home to make sure everything was going well. Atlas is now 3 years old and he is a great dog, he is very spoiled and treated like one of our kids. I would never get a malamute from anyone else!!! Marcy is great and you can see she really cares about all of the dogs and puppies, I love that a breeder keeps track of all of the puppies. The puppies/dogs are amazing!! I love our malamute and would most definitely come back to Legends for another puppy. First off I want to say that Marcy is an amazing women who absolutely adores her dogs and wants the very best for all of her pups. She is the kind of person who wants to know her pups are loved and well cared for. She was always been available to ask questions if something comes up, she takes her pups back, no questions asked, no judgment, she is just the a loving, responsible women who wants the very best for her dogs. I adopted a pup from Marcy about 1 year ago this year. Brom aka Ruckus was a 4 month old pup that needed a good forever home as his owner decided he was moving and returned him to Marcy. When I saw that he was up for adoption, already having Thor, his half brother I fell instantly in love! Brom is such a sweet, loving, patient dog that it is clear that he knew love. Marcy has such a fun, loving environment that you can tell they are raised in a home setting with lots of attention and are spoiled rotten! When we had picked up Thor, I meet Marcy in person for the first time, having talked to her for over 2 years about getting a pup, her heart and love and the struggle to let her pups go was evident on her face, but she knows her pups will be loved. All of her dogs are healthy, well fed, raised well, but with a firm hand, and in my opinion you can choose no better breeder! In the future we plan to get more Mals and they will all be coming from Marcy! The most amazing breeder's I've met in my life!!!! Marcy and Ron have given my sister and I two gorgeous pups, Thor and Brom we have gained two new family members thanks to Legends Kennels and I will always trust and thank Marcy for letting us be part of Legends! It was a long drive when I lived in NY. 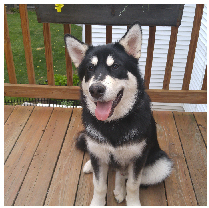 My friend Joe and I drive over 7 Hrs to get to Rochester, NY to pick up my Jasmine & Her brother, Nanook. They are FABULOUS dogs. We LOVE them so much. I am a licensed veterinary technician who obtained my first and only pure bred dog from this fantastic breeder. I will never go to any other breeder. Our family member is the best dog we've ever owned and could not be any happier! Parents: We have two -Keelut/Flame and Firecracker/Jr. I have been the proud owner of 4 Alaskan Malamutes during my lifetime so I have a bit of experience with this breed. My current 2 Mals, a 3 1/2 year old and a 1 year old are both Legends Malamutes. I was so thrilled with the first girl that we adopted from Marcy and Ron at Legends that we adopted a boy too! We had a wonderful experience for both adoptions and our dogs are healthy, beautiful and well-behaved. The adoption process and paperwork through Legends is well thought out and documented by the breeder. From our first contact - through waiting for the pups to be ready for adoption - to picking up our pups, Legends provided weekly updated photos and eagerly answered all our questions regarding my dogs. The puppies were very healthy and obviously well taken care of at the time of pickup, and I have been in constant contact with Legends regarding training, feeding and a myriad of other matters specific to this breed. Legends has always been and continues to be just a phone call, email, or Facebook Message away and has provided us with all kinds of information and help regarding our dogs. 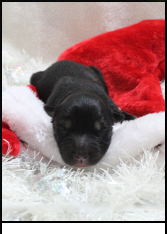 We purchased a pup from Legends from a 1-11-2013 litter after much research into breeders. We could not be any more thrilled with our Nikki...she is gorgeous, healthy, sweet, wonderful temperament and one of the smartest dogs we have ever had. We found Marcy and Legends to be absolutely professional and extremely knowledgeable about the breed. That was one of the things that impressed me the most. Not only do Marcy and Ron have experience raising and breeding mals, but Marcy also studied canine genetics. The pups are loved and socialized with their family and come to their forever homes ready for that family. Marcy remains available always....anytime you may have a question or concern..or just want to share updates on your precious furbaby....she is interested. She always wants to keep up with her babies. A Legends pup is a life long friendship with not only Marcy and Ron, but we have made wonderful friends with our mal's sibling's families. Anyone looking for a beautiful, healthy, sweet temperament mal should look no further....Legends breeds the best and will be there for you and your pup for the life of your baby. We currently have 3 Legends pups in our home. They have the sweetest dispositions, are all healthy and friendly and we get compliments about their appearance every time we have them out for walks, which is everyday! We couldn't ask for a better experience than the one's we have had with Legends. They answer every question, they are always available and made sure we were the right people for their Malamutes. I recommend them all the time and would and have gone back to them. 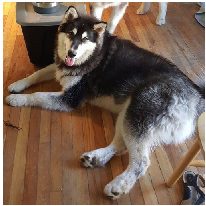 If you are interested in big, beautiful, wonderful Alaskan Malamutes, Legends are the people to see!! Luna the sweetest dog in the world, and is good with everyone she comes in contact with. She plays gently with my 88 year old grandmother, infant nephew and my parents two kittens. She also loves other dogs, and my sister brings hers over for play dates almost every week. My experience with legends has been wonderful. You can tell they truly care about their puppies and where they go. Even years later, if I ever have any questions , I know I can contract Marcy. I would recommend Legends to anyone looking for a Large dog!